Given the increased prevalence of obesity in the United States, despite reduced fat intake, there has been increasing interest in the effect of dietary fat on body weight, lipoproteins, and glycemic status. Despite predictions from epidemiologic and physiologic studies, recent prospective trials have demonstrated equivalent weight loss on high-fat versus low-fat diets. Nevertheless, the type of dietary fat consumed has substantially different effects on lipoproteins. Saturated fat raises high-density lipoprotein cholesterol but has unfavorable effects on total cholesterol, and has been associated with increased cardiovascular events. 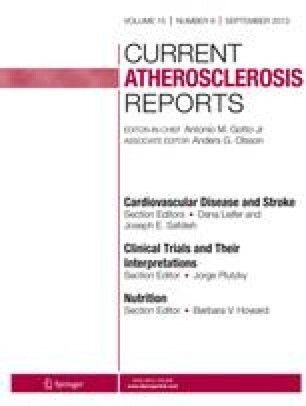 In contrast, unsaturated fats, and particularly omega-3 fatty acids, have the combined benefits of lowering serum cholesterol and raising high-density lipoprotein, as well as favorable effects on insulin resistance and inflammation; they also lower cardiovascular events in high-risk patients. Although current national guidelines modestly liberalize unsaturated fat consumption, important questions still remain about the optimal percentage of unsaturated fats in the diet.